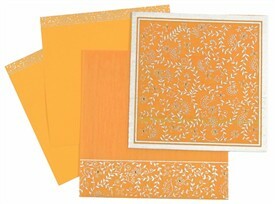 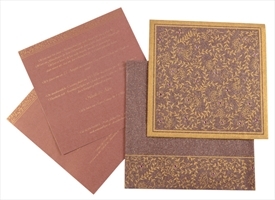 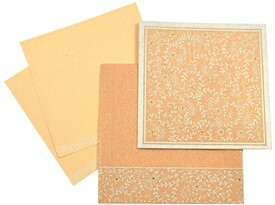 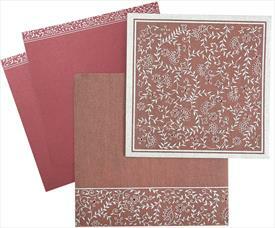 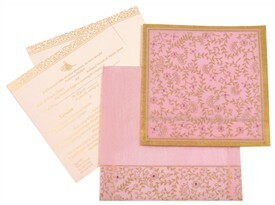 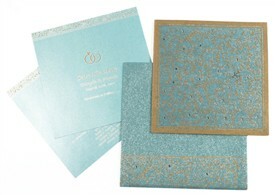 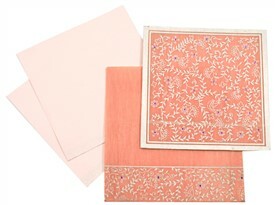 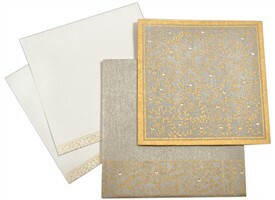 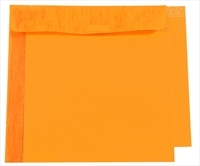 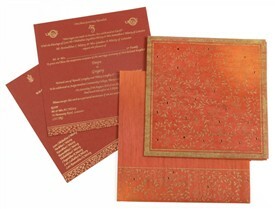 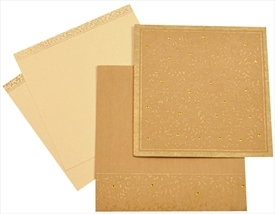 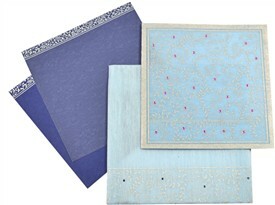 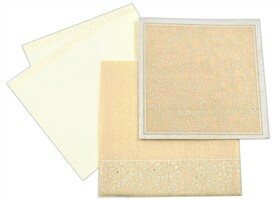 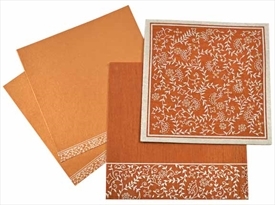 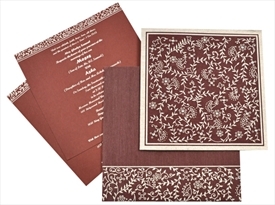 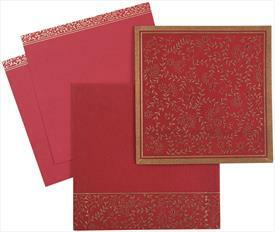 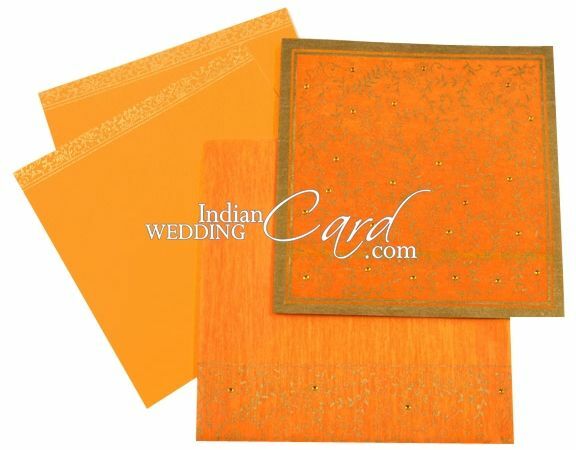 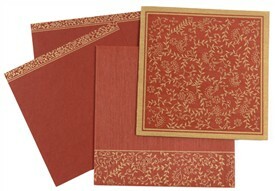 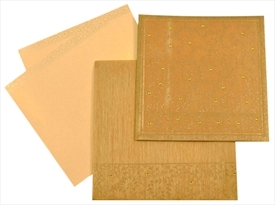 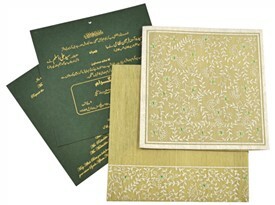 D-2221, Orange Color, Light Weight Cards, Designer Multifaith Invitations, Card with Rhinestones. 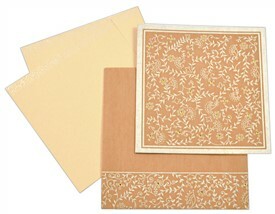 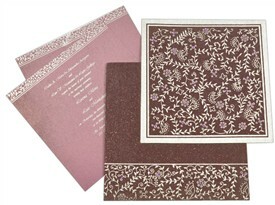 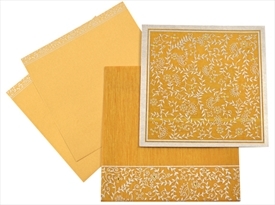 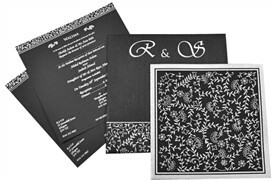 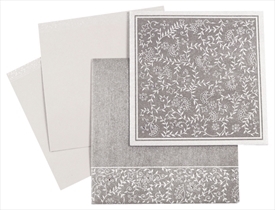 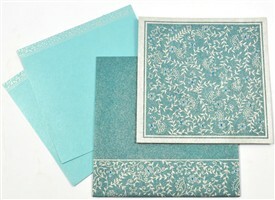 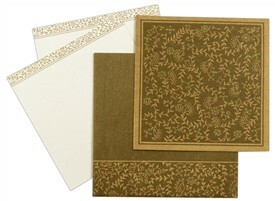 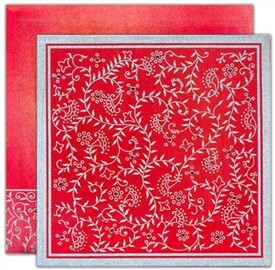 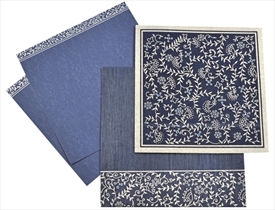 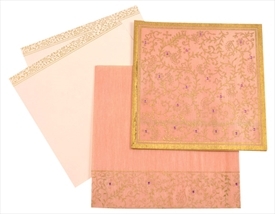 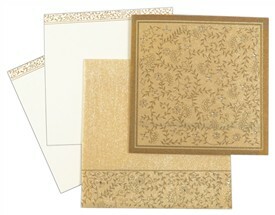 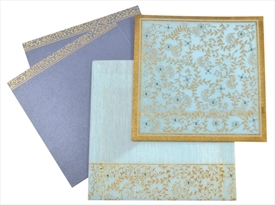 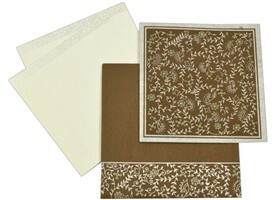 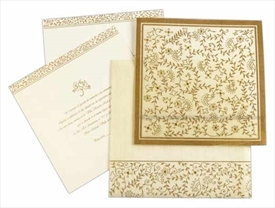 An artistically design card with Golden paisley design on front with matching rhinestones. 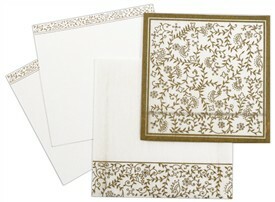 Border design for 2 inserts. 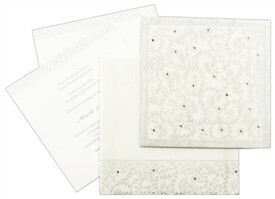 Envelope also has border with rhinestone work on front. Silk Screen Printing in any Dark color. 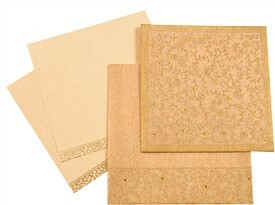 Envelope cannot be printed in Gold.